Few can forget those fast flying Bentleys that took to the Circuit de la Sarthe in 2003. With Tom Kristensen behind the wheel, the Bentley Speed 8 proved to be unstoppable. The Speed 8 decimated the opposition, gave Kristensen his fifth Le Mans win, and took home the silver for Bentley as well. 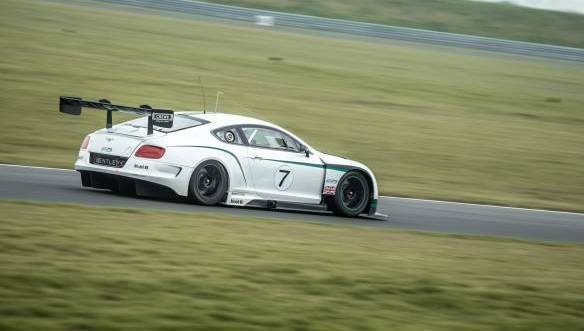 Now, a full ten years after that dominant win, Bentley is finally making a full-fledged return to motorsport, and this time with their fabulous and fast Continental GT3. On the 13th of December, 2013, the Bentley Continental GT3 will take to the Yas Marina circuit, for the 2013 Gulf 12 Hours for a two-part endurance race. Now, the Continental GT3 first made its debut at the Goodwood Festival of Speed earlier this year, but the 12 Hours of Abu Dhabi will mark its first competitive outing. Just how is the Continental GT3 different from your average road-going Continental, you ask? 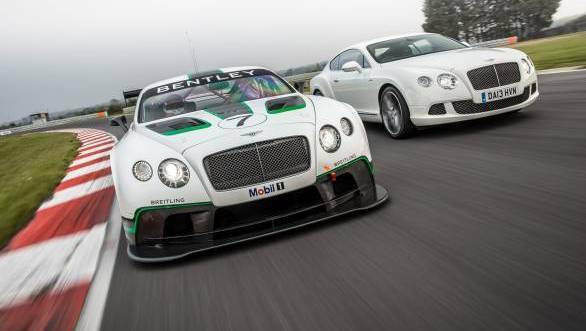 Well, the GT3 sees Bentley Motorsports join hands with M-Sport to develop this car for racing. The car will be run by M-Sport and in 2014, Team M-Sport Bentley will compete in the entire Blancpain Endurance Series. That's not all, of course. What the Continental GT3 has under the hood is a race-prepped and dry-sump version of the 4.0-litre V8 engine that features in the road car, only it makes 600PS in unrestricted race setup. The engine has been repositioned to the rear of the engine bay, with a Cosworth engine management system put in place as well. The rear-wheel drive car has a six-speed sequential gearbox, racing clutch and steering mounted paddle shifts. Add to this an FIA-spec roll cage, Sparco six-point safety harness, onboard fire extinguisher and an FIA-spec racing fuel cell and you're good to go. Of course, the Continental GT3 also comes with ABS and traction control. But there's that touch of Bentley luxury that can't be missed out on, even if this here is a racecar. 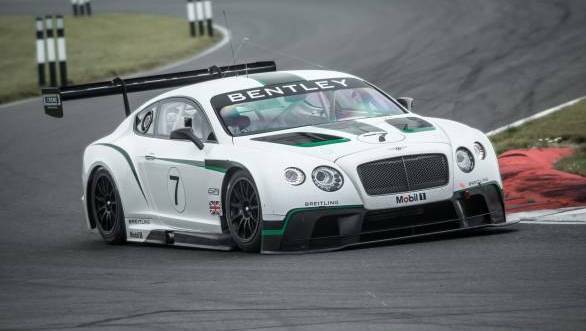 The GT3 has a carbon racing seat, leather door-pulls and a steering wheel that has been handcrafted by the artists at Bentley's Crewe facility. What we know is that we can't wait to watch this one in action. Now to wait and see who the drivers are!